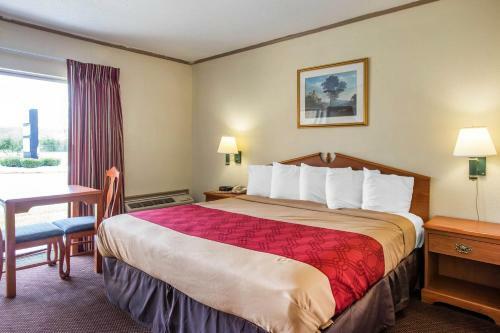 Rooms from $53.99 per night. Description This Perry, Georgia hotel has an indoor pool, free internet access, non-smoking guest rooms and an on-site restaurant. 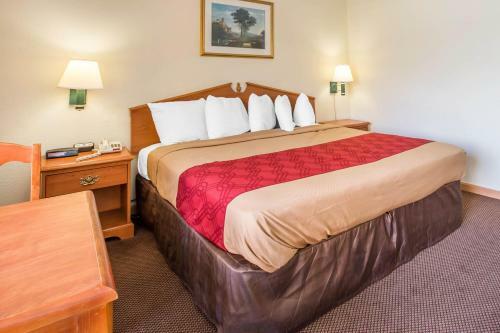 Free Wi-Fi plus an indoor pool and rooms with microwaves and refrigerators attract our guests to Econo Lodge Perry. 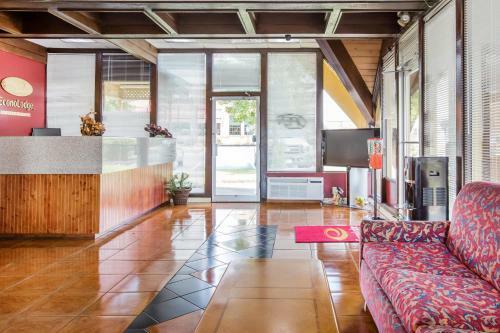 The two-story Econo Lodge Perry has 78 rooms with microwaves mini-fridges and free Wi-Fi. Enjoy year-round relaxation in the heated indoor pool and hot tub. Local calls are free. Guests traveling without laptops can use the public computer with internet access. The business center has copy and fax services. Parking is free. The hotel is off I-75 two miles from the Georgia National Fairgrounds. Several restaurants are within walking distance of the hotel and a shopping center is across the highway. Outdoor enthusiasts can hike or fish at the Houston County State Park and Flat Creek Public Fishing Area 15 minutes away. Fort Valley State University is 10 miles from the hotel. 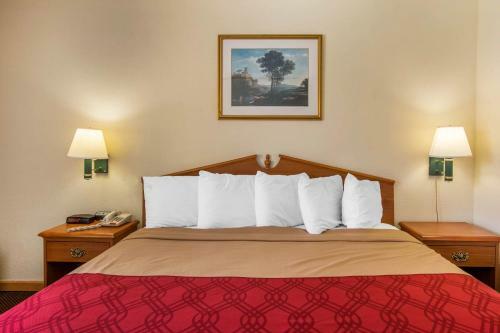 The hotel is 15 miles from Robins Air Force Base and Middle Georgia Regional Airport. 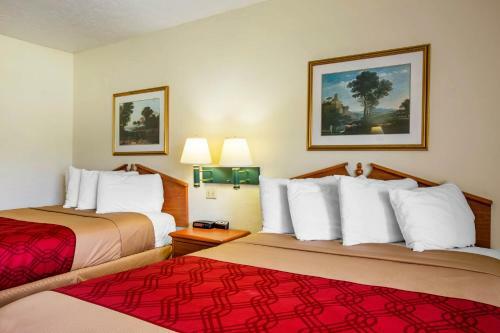 Add Econo Lodge Perry to your free online travel itinerary.